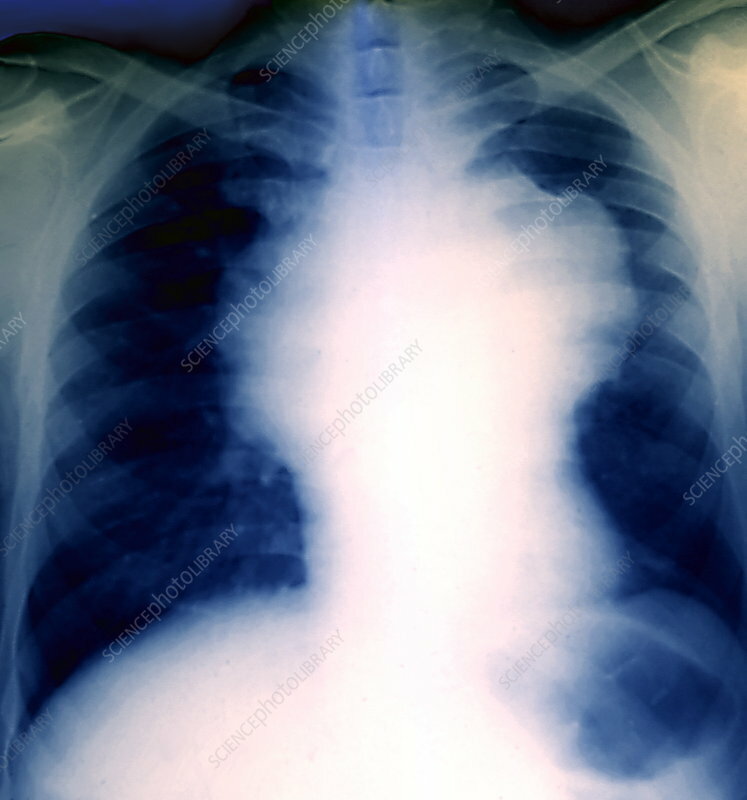 Non-Hodgkin's lymphoma (NHL), coloured chest X- ray. There is a swollen lymph node (white mass) in the centre of the chest. The heart (white) is at lower centre. Lymphoma is a malignant (cancerous) growth of white blood cells (lymphocytes). There are many different types of lymphoma depending on the cells affected. White blood cells are part of the body's immune system. They travel around the body in a clear fluid called lymph. NHL can affect anyone, although it is more prevalent in men and those over 40. Its cause is not known. Symptoms include fatigue, fever, night sweats and weight loss. Treatment is with combinations of radiation therapy, chemotherapy and monoclonal antibody therapy.